It’s no secret that Chattanooga boasts many exciting attractions and things to do for all ages. But what about things to do that won’t break the bank? Follow our guide of free things to do in Chattanooga that are perfect for families, couples, outdoor enthusiasts, and all ages! While Lookout Mountain is famous for its paid attractions like Ruby Falls and Rock City, this popular natural landmark also includes several free hiking trails and outdoor excursions to enjoy. Sunset Rock at Lookout Mountain promises incredible vistas of the Chattanooga skyline and the Tennessee River. Open Sundays April through December, The Chattanooga Market is a popular spot for great live music and perusing local goods, crafts, and artwork. The market is held at the First Tennessee Pavilion and there’s no entry fee! Located on Chattanooga’s North Shore, Coolidge Park is a favorite among locals and visitors alike. 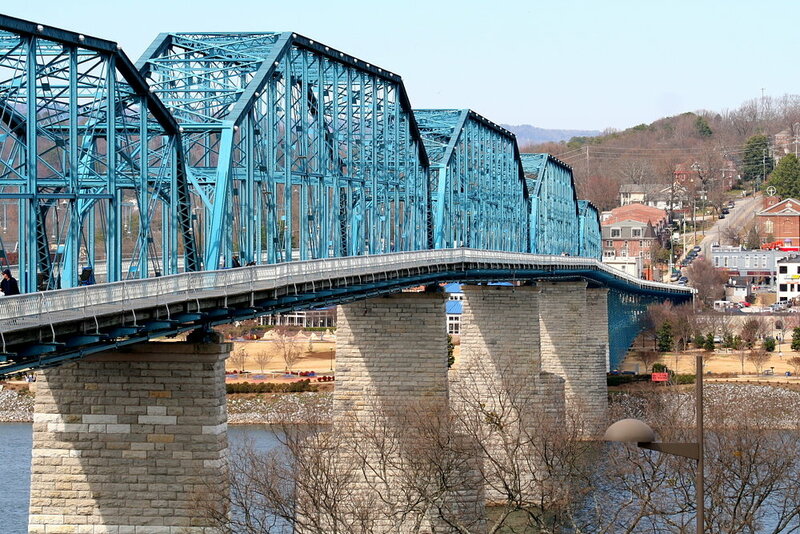 The park is located along the Tennessee River and includes an interactive water fountain, the Walnut Street Bridge (one of the world’s longest pedestrian bridges), rock climbing, picnic areas, and a restored 100-year old carousel. The Tennessee Riverpark features a 16 mile long paved trail for walking and biking that runs along the Tennessee River. The park is also home to playgrounds, fishing piers, and bike sharing facilities. Enjoy free live music every Friday night from May 3rd to August 30th during the Nightfall Concert Series. Musical performances span several genres, ranging from national and international acts. Concerts take place outdoors at Miller Plaza in downtown Chattanooga and start at 7 pm. Visiting the Hunter Museum of American Art is a must for art enthusiasts with dazzling displays of artwork ranging from the Colonial period to the present day. While there is an admission fee for $15 per person over the age of 17, children ages 17 and under are free. What was once a battlefield during the Civil War is now a historically significant military park where visitors are invited to learn and explore. While the park’s highlights include historical reenactments, storytelling, and sightseeing, the park also has an indoor exhibit and hiking and running trails. Located 20 minutes outside of Chattanooga, North Chick Blue Hole is a series of swimming holes along the North Chickamauga Creek Gorge. Boulders are what break up the stream to create the many clear pools for visitors to enjoy—some pools are as deep as 10 feet! This is a great spot to catch some sun or cool off on a hot summer day. What was once a prominent train station has been transformed into a hotel that hasn’t forgotten its roots. The Chattanooga Choo Choo is a popular spot to step back in time and get a full glimpse of a historic train station. 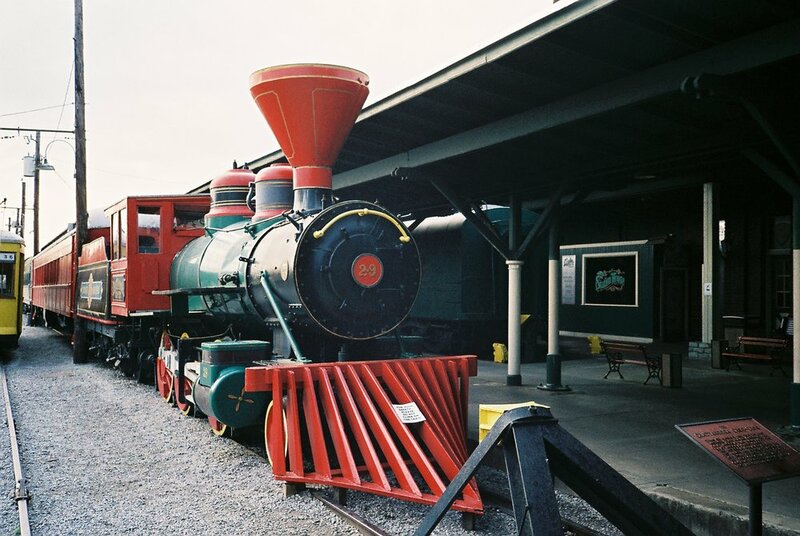 The Glenn Miller Gardens are a fun spot for families to play games, relax, and get an up-close look at an old train engine. There are also plenty of shops and restaurants nearby to peruse. This riverfront park is truly unique in that it not only offers a great place to walk, relax, and enjoy the views of the Tennessee River, but it also includes its very own man-made wetland system that assists in the elimination of waste before it reaches the Tennessee River. Also, be sure to bring some cardboard to slide down “cardboard hill”. Enjoy a peaceful walk amongst beautiful sculptures and gardens at the First Street Sculpture Garden near the Market Street Bridge. The garden also includes artwork made from various raw materials and is definitely a sight to see! 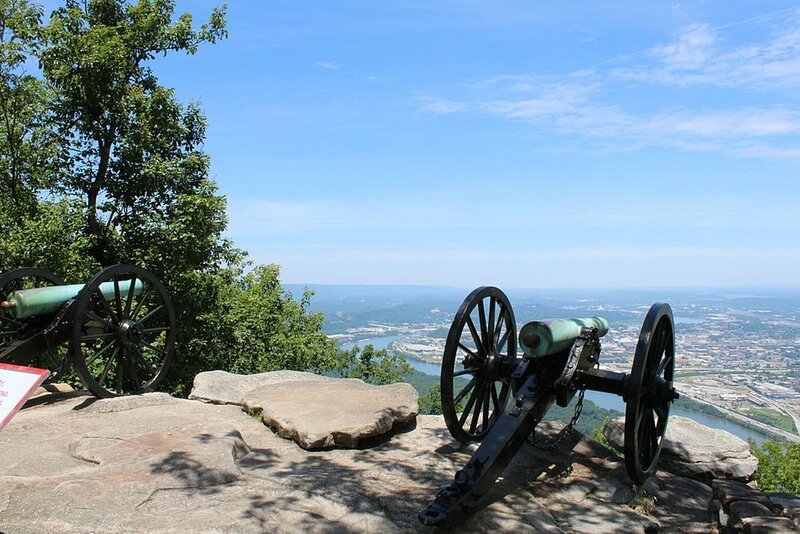 Chattanooga has several outdoor activities to enjoy. And don’t miss these things to do for families the next time your in Chattanooga!